The Project area includes the historic Mala pyrite mine reported to have produced 200,000 tonnes comprising 80Kt at 0.55% Cu, 43.5% S and 0.3% Zn and 120Kt at 0.45% Cu, 25.5% S and 0.3% Zn; No gold grades were quoted historically. Hosted by basalt rocks, mapping in the target area has identified numerous volcanic vents synonymous with VMS systems. Prospectivity is enhanced by the presence of a large number of northwest – southeast trending faults which may be important for hydrothermal fluid flow and subsequent mineral deposition. 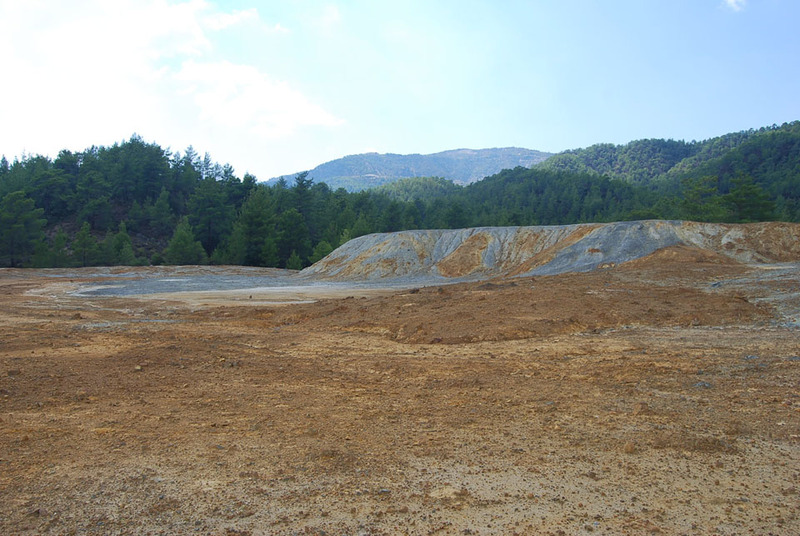 Massive sulphide is still exposed in the open pit and a 1994 report estimated a non-JORC (2012) reserve of 200,000 tonnes. In 2014, a low-key reverse circulation drill programme (1,092m) was undertaken to validate historic drill results and to determine both gold and silver grades that had previously never been estimated. All holes drilled intersected pyrite-rich sulphide mineralisation related to a VMS system. The system remains open in all directions. Drill intercepts included 25m at 1.23g/t Au, 4.2g/t Ag, 0.34% Cu and 1.16% Zn from 46.0m (MALRC007), 39.0m at 0.59g/t Au, 1.3g/t Ag, 0.39% Cu and 0.33% Zn from 33.0m (MALRC004) and, 13m at 0.85g/t Au, 4.5g/t Ag, 0.20% Cu and 0.91% Zn from 21.0m (MALRC003). An estimated 500,000 tonnes of ore stockpiles and tailings remain on-site requiring testing to estimate both gold and base metal grades as possible future sources of low-grade leachable feedstock. Preliminary reconnaissance by Caerus has identified mineralisation at surface along strike from the current pit face as well as an extensive geobotanical anomaly indicative of pyrite-rich country rock extending along strike from the former mine site. Sulphide- altered volcanic host rocks and gossan development in all directions around the former open pit with coincident geobotanical anomalies. A dump containing approximately 500,000 tonnes of waste material generated at a time when Mala was exploited solely for the recovery of pyrite for acid production. As a consequence, gold and base metals were not prioritized and the dump should be tested for residual recoverable metals.